Carlisle Park is maintained 100% by community volunteers! Thank you to the many community volunteers who donated their time to keep Carlisle Lake Park looking great. We look forward to seeing everyone in 2019 for more clean up crews. Join other community members who enjoy our beautiful outdoor space! May 28th through September 24, 2019. Thank you to Larry & Bev Gessele of LG Nature Photos for many of these beautiful photos of Carlisle Lake. See information about Larry's book below, including how to purchase. Did you know there's a book filled with beautiful photographs of Carlisle Lake? Local author and nature enthusiast, Larry Gessele of LG Nature Photos walks the trail every day around Carlisle Lake, capturing beautiful moments with his camera. He has compiled a book titled, Carlisle Lake (Through the Years). It's filled with photographs from each season; Fall, Winter, Spring and Summer including birds, flowers, lake scenery and wildlife that surrounds the lake. Many of his photographs are used throughout this website, including those in the slides above. Do you like to fish? Well, come on down to Carlisle lake. You can use the boat ramp to take your own boat out, or fish from the shore. You can find [all sorts of fish] in the lake. Just be sure to have your state fishing licence! Carlisle Lake is home to a staggering amount of wildlife. A big thanks to Larry and Bev Gessele, resident birdwatchers and photographers, for sharing these photos. Please click HERE to learn more about these two and see more of their amazing photographs! The Onalaska Alliance takes pride in developing and enhancing the habitat around the lake. Many of our community members enjoy a daily walk or run around the lake. The beautiful scenery and the well maintained trail make for a pleasant experience. We also host an annual 5k, The Apple Harvest Fun Run/Walk, in conjuction with our Apple Harvest Festival. Click HERE for more info! Carlisle Lake is a great place to learn about the natural habitats of plants, birds, and fish. The Alliance has partnered with the School district through the STEM program and by promoting educational activities and field trips. A few of our students from the science club even wrote a book! To find out more about the Carlisle Lake Field guide, click HERE. We, the nonprofit organization known Onalaska Alliance (OA) own Carlisle Lake and its surrounding property, and we have plans to provide new recreational, educational and historical opportunities for the community. OA recently received a grant from the Rose Foundation for designing fish passage into the lake. OA has also received a grant that will go towards the construction of restrooms and a day use area. This will be a two year project. We are excited for the possibilities and opportunities that these grants bring to our community. We have well established partnerships with the Onalaska School District, Washington Fish and Wildlife, Chehalis Basin Fisheries Task Force, the Chehalis Basin Education Consortium, and the Chehalis Land Trust. These partnerships will enable us to raise Salmon for release into the Newaukum River, and will enable us to use the lake for more outdoor classroom and community habitat enhancement activities. Onalaska Middle School students have already conducted water quality testing and monitoring of the lake's inlet creek. Onalaska Student have planted over 1,200 trees around the lake, and youth from the Juvenile Justice Center's work crew have worked had to clear brush and invasive species from the shoreline of Carlisle Lake. These are just a few of the wonderful things that are happening at the lake thanks to the involvement of our community members. As we look ahead, we have some long-term goals that will help improve our lake property for the benefit of our community members. Read about those goals and projects below. Some of the projects are already underway! Community partnerships are the key to reaching these goals and making the Carlisle Lake property a beautiful, family-friendly park that we can all enjoy and be proud of. We'd like to thank you for your involvement! If you are not already involved, please be sure to join us at one of our community meetings, and sign up to receive email updates and notifications by clicking on the button below. 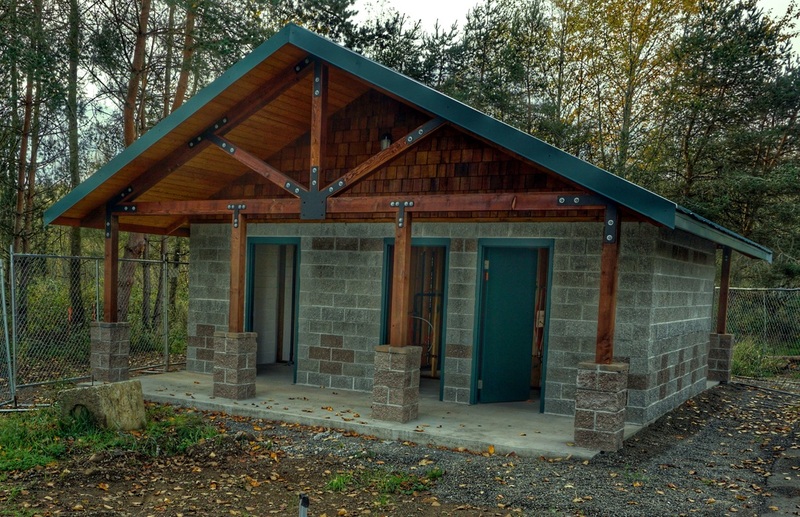 The recently completed bathrooms were provided for through a grant from Lewis County and the craftsmanship of local contractor, Paul Sneed of Sneed Construction. Courtesy of Robert Southern, Cross-Country Coach and OSD staff. The one mile trail around Carlisle Lake is maintained by community volunteers. This past year though, we had Roy Elliot, of Elliot Construction, and his crew widen the east side of the trail. Thanks the the hard work they put in, we can all enjoy easier access to the lake and more space for running or walking. The Onalaska Alliance is working tirelessly to create a beautiful, functional Day Use area with picnic tables and benches. 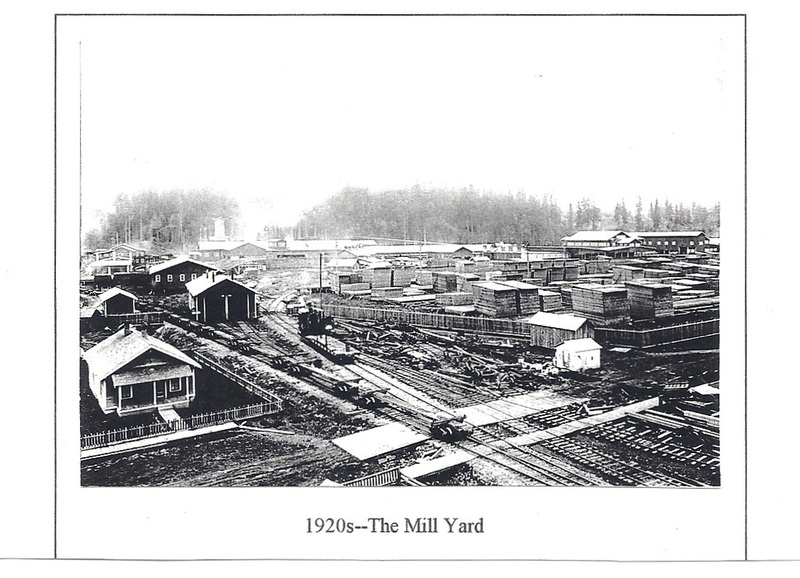 According to a Chronicle report given in the Lewis County Advocate in march 1936 the development and progress of Onalaska grew steadily with the Carlisle Lumber Company from 1914 until 1928. It began to taper off after that time because of the worldwide depression. There had been 425 people employed in the logging operations alone, which it was estimated directly furnished a livelihood to over 1,500 people. And even when the lumber business was at its worst in 1931, and for many months following, the operation of the mill continued, supplying work for many employees while hundreds of sawmills all over the country were closed.